Watch the live stream – participate online! Livestreams are also watchable after the event itself has occurred. 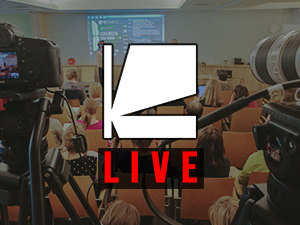 You will find find livestreams produced by the Library Channel team as well as livestreams and lecture recordings produced by our cooperation partners on Library Channel’s Education Channel -category. The videos won’t be used for commercial purposes or given out to third parties. Videos released on Library Channel can nevertheless be freely shared on social media, embedded into blogs and websites as well as shown in classrooms in Finland and abroad. The recordings can be watched and listened to without limits and don’t have a limited release time. All the recordings are released under a Creative Commons- license (CC BY-NC-SA)*. – Attribution — You must give appropriate credit, provide a link to the license, and indicate if changes were made. You may do so in any reasonable manner, but not in any way that suggests the licensor endorses you or your use. – NonCommercial — You may not use the material for commercial purposes. – ShareAlike — If you remix, transform, or build upon the material, you must distribute your contributions under the same license as the original. If you encounter difficulties watching our livestream, you can alternatively try watching it on our Vimeo- or YouTube-channel as well. You can also send us feedback in the chat window of the livestream or through our other channels. The idea of livestreaming is to make participation to a seminar or training day possible to people who don’t have the possibility to participate to the event on-site. Library Channel wants to better geographical equality and reachability of those events. Here is a list of tips for persons organizing events that are live-streamed. By following the list you will ensure that the preparation of the livestreams go smoothly and effectively. Also the information about the livestreamed event will reach the potential remote participants. Many event organizers are worried that mentioning the possibility of remote participation in when promoting the event will decrease the amount of participants on-site. In Library Channel’s experience this worry is unnecessary. Participating in the event allows you to meet colleagues and talk to them. Following the livestream is a good substitute if one doesn’t have the possibility to make it to the event on-site. So remember to promote the possibility of remote participation throughout the event’s whole marketing process! 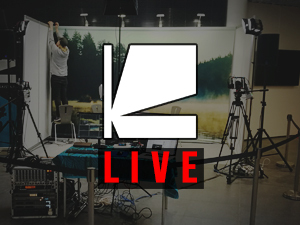 – Space & Location: The Library Channel team is required to know in advance what kind of space the event is organized in to ensure that the internet connection(LAN), sound and lighting are good enough to make the livestream possible. The best way to do this is to arrange for the Library Channel team to visit the event’s space beforehand with the technician. 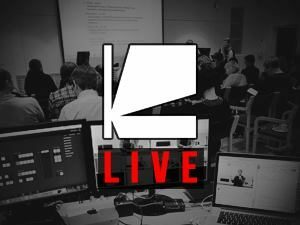 – Filming permit and Imprimatur from all performers: Every performer has to give permission to live-stream and publish the recording of said livestream. If the performer doesn’t give permission to livestream his or her performance, there’ll be a break instead. Or if some performer gives permission to live-stream but doesn’t want the recording to be available for viewing afterwards that’s fine too of course. However, these restrictions have to be known in advance so that the people who have planned to watch a certain part of the livestreamed event either live or as a recording. Library Channel doesn’t want to disappoint their viewers. – Event’s programme: Library Channel requires the event’s final programme at least a week before the event. We always make graphics tailored for the livestreamed event in question, where the viewers can see the day’s schedule, information about the performers, the hashtag of the event (if used) and breaks in the programme. – The MC or host of the event: Library Channel requires information about the host for the event at least a week before. It will be taken to account in the graphics of the event and camera placement. Also we will go through the event’s programme with the host and decide on who passes the mic around for questions from the audience. It’s crucial for the livestream viewers that questions and comments are spoken into the mic for them to hear properly. We’ll also agree on who checks Twitter, Facebook and chat etc. if someone watching remotely participates in the discussion via those services. – Event’s hashtag: It’s advisable to create a Twitter hashtag for the event. That way both the people there and people watching remotely can share, comment and ask. – It’s advisable that the performers of the event would take the remote viewers into account by for example greeting them and telling them that they can send comments and questions to the performer. – A mic for the audience is always used in live-streamed events so that the remote participants can hear the audience’s questions and comments. If someone from the audience doesn’t use the mic for some reason, it’s advisable that the performer would repeat the question before answering it. That way the remote viewers will be equal to the people attending and they also get to hear the audience discussing.